Loyalty rewards programs are probably the most underrated tool for keeping a business successful, and its bottom line healthy. Sadly, many are clueless about capitalizing it for their gain. So, here is a guide to loyalty programs and how you can design an effective one for your restaurant. Loyalty programs target customers that have already visited your restaurant, and encourage them to return. When a customer has experienced what you have to offer – and hopefully enjoyed it – they are much more likely to come back for more. A complete stranger, however, would be less inclined to even enter the store. An article by Harvard Business Review reported that it can cost as much as 25 times more to acquire a new customer than to retain an existing one. Thus, investing in a loyalty program saves you money, yet offers you more benefits. But you may ask, how effective are loyalty programs? Fret not, your marketing dollars won’t go to waste. Engineer your menu into a money making machine. Download this menu design guide here. 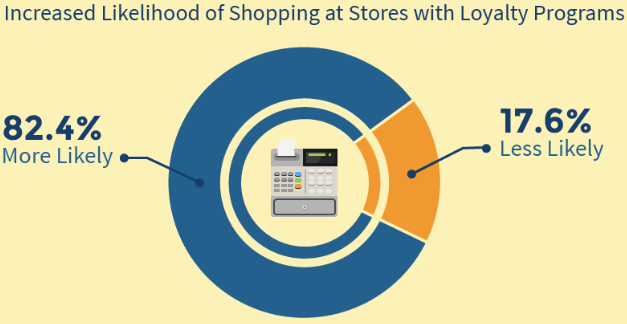 According to research by Technology Advice, shoppers are 82.4% more likely to patronize a retail outlet with a loyalty program. They are attracted to such stores because they believe they are getting better deals, saving more money, and receiving more rewards. It is this mindset that also prompts them to spend more money more often. In fact, members of loyalty programs think less about the price tag, and can spend 10 times more than new customers over time, according to a Five Stars study. Research published in the Journal of Marketing Research also found that such members make purchases about 20% more frequently. This makes sense because with a loyalty program, members operate under the psychology of “the more I buy, the more I’ll receive”. 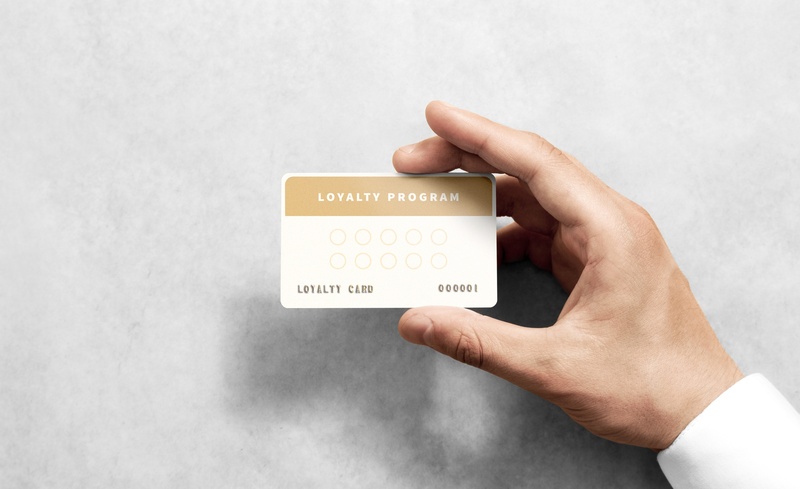 Loyalty programs can come in the form of a physical punch card, or a digital app – the latter of which holds more benefits. A physical card takes more effort (and resources) to distribute and maintain. As a business, you’ll need to spend on printing and sometimes mailing. As a consumer, you’ll always have to remember to bring it and keep it where it can’t be misplaced. A digital loyalty program, however, is accessible easily through one’s phone, automatically tracked, and faster to set up. Convinced that loyalty programs are the way to go? Clueless about how to create one – and an effective one at that? The essence of a loyalty program lies in its rewards. Here are some tips to get them right. Often, restaurants follow the typical “collect 10 stamps to get one reward” structure – and there’s nothing wrong with that. But if possible, you should try to reduce the number of stamps needed to get a reward. Here’s why. People tend to be impatient. We want instant free gifts (or at least a gift that we can earn without waiting for too long). It is linked to the idea of hyperbolic discounting, where people generally prefer receiving small rewards now, as opposed to waiting for a more substantial one later. So, the trick is to offer small gifts that can be attained with little effort. Having said that, every reward you offer should be valuable and significant enough, so that it’s worth the effort of returning to your restaurant and spending money for. A good way to gauge whether it’s an appropriate reward is to find out if it’s worth at least 10% of the amount your customer needs to spend to unlock it. You can also consider offering free stamps or extra stamps on your patron’s first purchase. Giving them a head start will spur them on to continue to earn points, stamps, and rewards. 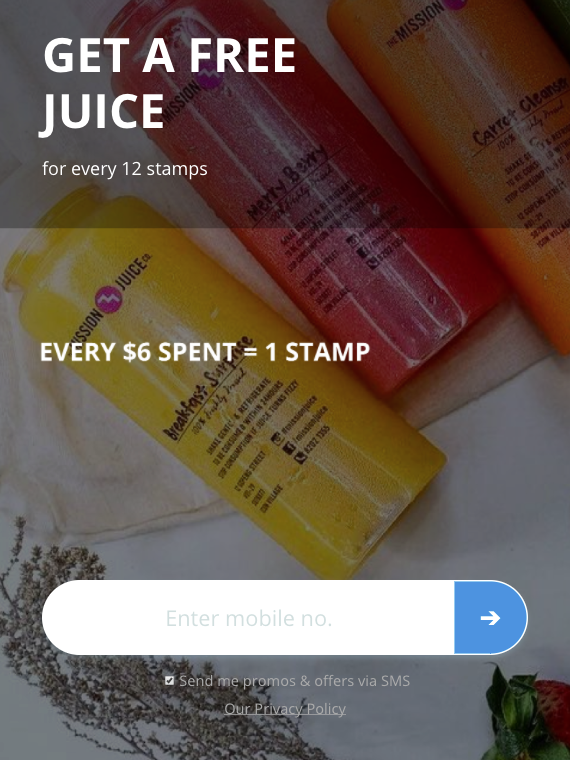 Another tip is to introduce a minimum spend for every stamp they collect. To decide on how much that minimum spend should be, figure out how much your customers generally spend per visit. If that amount is $18, each stamp could be worth $5 or $10. This way, they will be more likely to fork out the cash, that extra $2, to earn that extra stamp. No loyalty program can even begin to be successful if no one knows about it. This is why you need to promote it – and in a way that actually attracts attention and converts into engagement. There are two avenues to do this: Online and offline. With online efforts, you’ll want to cover all bases. Update your restaurant’s website with a simple button (with a signup call-to-action) that directs visitors to your digital loyalty program page. If you so desire, set up an entire webpage to explain the details and benefits of the program. Promote your new loyalty program on every social media platform your restaurant uses, and update the description of each page to include the link to your digital loyalty program. If you have a contact list with your customers’ details, send them a promotional email, as well as a promotional text. With offline efforts, the most straightforward method is to advertise your new program within the store – be it through posters, business cards, tent cards, or digital signages if your restaurant has electronic displays. Use a QR code on these materials, so patrons can scan them easily and be directed to the digital program. The next step is to make sure your front-of-house staff members (everyone from waiters to bartenders to hosts) know about the loyalty program in its entirety and how to promote it to the diners. Don’t forget to reward them for doing so too, offering incentives for those who have collected the most signups. As for actually attracting customers to sign up, a fool-proof method is to offer instant rewards for jumping aboard the loyalty program. This can be a free piece of restaurant merchandise, a free appetiser, or a certain number of free stamps for the first 100 signups. Now that you’re equipped to design, promote and run your own loyalty program from tip to toe, you’ll be seeing more patronage and profits in no time! 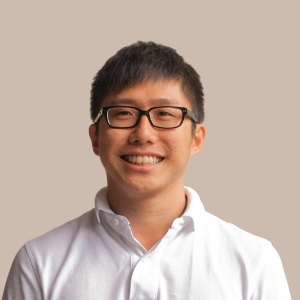 Si Quan Ong is the Content Marketing Manager at CandyBar, a digital loyalty card app. Use CandyBar to run an entire loyalty program from your own device, and get insights into who your best customers are. Try CandyBar free for 30 days here.